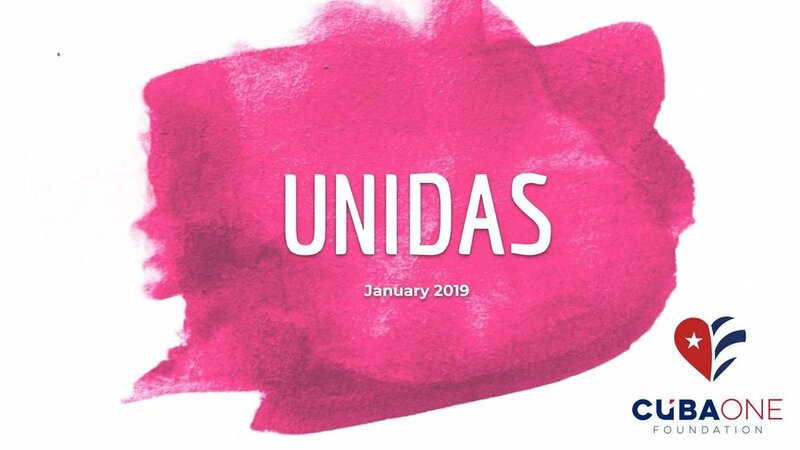 In January of this year, we helped the CubaOne organization bring ten influential young Cuban American women to Cuba on their inaugural Unidas trip. The group learned about the island from a different perspective, discovered their roots and family on the island, and met with the women creating Cuba today. Some went to Cuba against the wishes of older relatives and community members. They came back with conflicting thoughts, feelings and conclusions, and most importantly, stories and ties to the island to call their own. Since then, members of the Unidas group have bravely taken up advocacy in their communities about the divisive, trauma and drama-filled issue of the US embargo on Cuba. They are representative of the younger generation of Cuban Americans carving a new path in US-Cuba and Cuban-American relations. After the US government’s announcement of the revised Title III restrictions on expropriated Cuban properties, two participants Claire O’Hanlon and JennyLee Molina penned their thoughts in the Miami Herald in a fresh op-ed from the perspective of the next generation of Cuban Americans. We wanted to share their thoughts below. “We are Cuban-American women. We are the daughters and granddaughters of Cuban exiles that Fidel Castro called gusanos — “worms.” We believe that our political and economic isolation of Cuba strengthens the Cuban government, rather than incentivizing democratization. It drives them to ally with our adversaries, while exacerbating the incredible difficulty Cuban people face finding and obtaining the most basic necessities. We do not deny that our parents and grandparents’ trauma is real. Their anger, pain and sadness are valid. We feel anger, pain, and sadness, too. We empathize with efforts to fight for what our families lost or, rather, what was stolen from them. But we will not engage in this counterproductive mindset of eternal punishment. U.S. policy toward Cuba is dictated by hardliners in Florida like Sen. Marco Rubio. But the hardliners choose to forget that the people who remained in Cuba also suffered, also had their property and businesses expropriated. Their family members were jailed, killed and traumatized. Cuban Americans do not have a monopoly on suffering at the hands of the regime. We are grateful that the United States, for many years, welcomed Cubans with open arms and allowed our families to live in the light, unlike many other immigrant communities that must live in the shadows. But as Cuban Americans, our suffering at the hands of the Cuban government is in the past tense. We choose to bury the suffering of our families with our ancestors. We are not forgiving. We are not forgetting. We will always remember that the suffering is there, under the ground. We may even visit it once in a while. But we refuse to carry it around with us and harden our hearts toward the Cuban people. We choose to look forward to the future instead of living in the past. The tangled web of laws like Title III that constitute the embargo ultimately hurt the Cuban people. They suffer at our hands, at the policies we created to punish the Cuban government, at whose hands they also suffer. All the while, the Cuban government has a perfect scapegoat, the embargo, to blame for the problems they have created. As Cuban Americans, we are free to call out Rubio by name and engage in a political debate without fear that we will be kicked out of school, lose our jobs or rot in prison. The same cannot be said for our hermanos in Cuba. Our families sacrificed everything so we could have what is truly important here in America. But we cannot let Rubio and his allies dictate U.S.-Cuba policy just to avenge familial grudges — even our own. You can read and share the full article here.